Chris was excellent from start to finish. 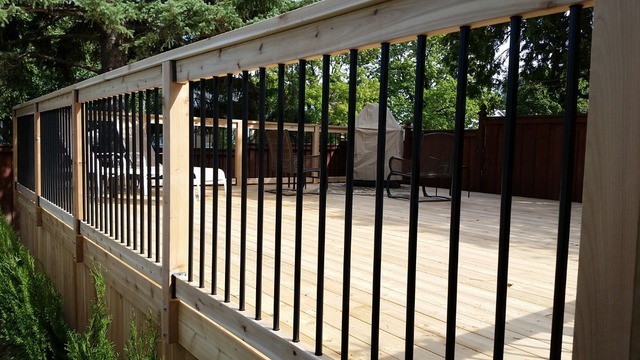 Very accommodating to our design choices - he listened to what our needs were and wasn't afraid to give honest advice. His work ethic and craftsmanship were of a high quality. 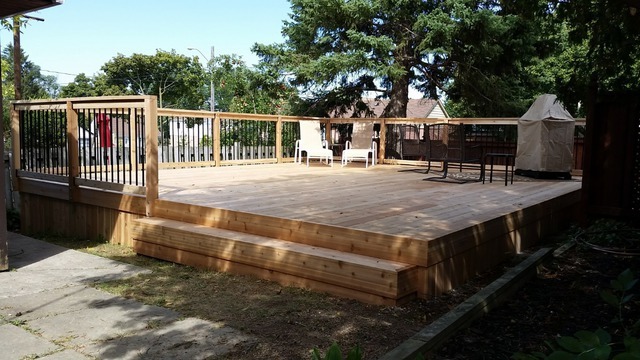 We're very excited to have our new cedar deck and can't wait to use it next summer! Thank you for such a kind review Sabiha! 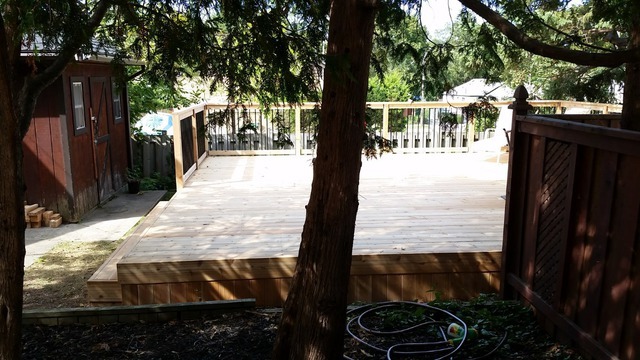 It was my pleasure building your deck. I know it was at the end of the summer but I hope you had a few quality warm sunny days after completion to enjoy it at least a little! If not, the beautiful scent of the cedar will be awaiting you next year!